When Lily Marston first started at Defy Media, she was an unpaid intern still working three days a week at a hamburger joint. But in the fast-changing world of YouTube and digital video, the walls between different elements of video production have a greater porousness than traditional TV. For Marston, that internship turned into a producer gig for Defy’s ClevverTV sub-brand, and then into an on-camera role after the audience responded enthusiastically to a few guest appearances she had. And Marston’s career path speaks to a broader trend in digital media shops, which rely on rapid experimentation and audience feedback to build brands that millions connect with. In Defy’s case, accidental stars can flourish in its brands like Smosh, Screen Junkies (including Honest Trailers), Clevver, and so on. Early digital video powerhouses like Defy were built on the back of YouTube, which has led to the popularity of a certain kind of star. ClevverTV’s Joslyn Davis described that type as ordinary people with passion and relatability. Even though Davis and her fellow hosts tackle topics like style and beauty, they do so from a more everyday perspective. “We shop at Target,” Davis said. And that’s important. 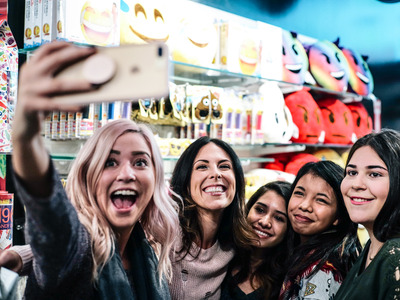 Even if Davis and her cohort are testing out luxurious products or experiences on camera, they are having an aspirational journey the audience can connect with. The emphasis on relatability also allows places like Defy to discover talent floating around the office. The producers will throw someone into a video, maybe even an intern, and if the audience reacts well, they could get a bigger part. “We slowly sprinkle people in,” Davis said. Marston is a clear example of this. Defy takes a similar approach to trying out new show concepts. A favourite tactic is what ClevverTV’s Erin Robinson referred to as a “backdoor pilot,” where Defy will debut a new concept on an existing show. If it can gain enough momentum, then it might break off into its own entity, like Defy’s “Beauty Trippin” broke off from existing show “Beauty Break.” While Defy tries out a lot of new concepts, the company generally likes to tie them to an existing brand to get it out in front of an audience to test. “What we’ve struggled with is [having] too many ideas,” at points, Davis said. The ones they end up trying are the “safe risks,” Robinson added. She gave an example of a recent series called “It Got Real,” which documented the process of her own uterine fibroid surgery. Even though it was outside the main realm of the brand, people like seeing medical issues on screen, she said. The episodes ended up getting over three million views in a week. In trying new things, it helps that Defy’s stalwart franchises, from Smosh to Screen Junkies, can stretch. “The brands are very extensible,” CEO Keith Richman said in an interview. As Defy evolves, the company will also find out how resilient its brands are to some of their stars naturally moving on. 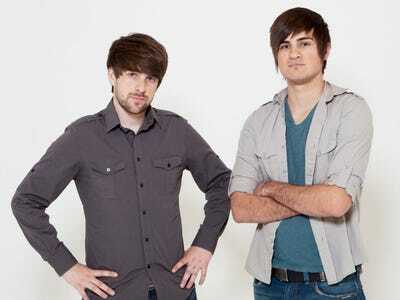 Defy experienced this earlier this summer, when Anthony Padilla, half of the duo that started Defy’s best-known brand, Smosh, left. Richman likened Padilla’s departure to cast members leaving “Saturday Night Live” in an interview with Business Insider at the time. “About four years ago, we came together as a company and said, ‘what are steps we need to take to make the brand live way beyond the people that founded it?” Richman said. One step was to streamline the development process. “We worked hard to organise development [over the last few years],” Davis said, though there were still “a lot of growing pains,” she admitted. Tech giants like YouTube, Facebook, Netflix, and Snapchat are pouring millions into video, and trying to pry the attention of consumers away from TV. With money and time, the market for digital video will continue to mature. Defy and media companies like it will likely push their development process toward more standardization, more organisation. The question will be whether Defy will be able to maintain its nimbleness in the face of this. For Defy CMO Andy Tu, the answer is “yes.” Sure, there will be more specialisation as time goes on, he said. But the experimentation and collaboration between departments will continue. Still, if streaming video continues its ascent, and companies like Defy become a part of the established mainstream, they could find themselves outmaneuvered by scrappy upstarts. It’s a dynamic that is familiar to anyone in industries being made and remade by technology. “We all wanted to do traditional media but it was full of dinosaurs and impossible to get those jobs,” Robinson said. So they built their own company. Defy has to hope that by experimentation and constant feedback from its audience, it can avoid becoming full of dinosaurs itself.